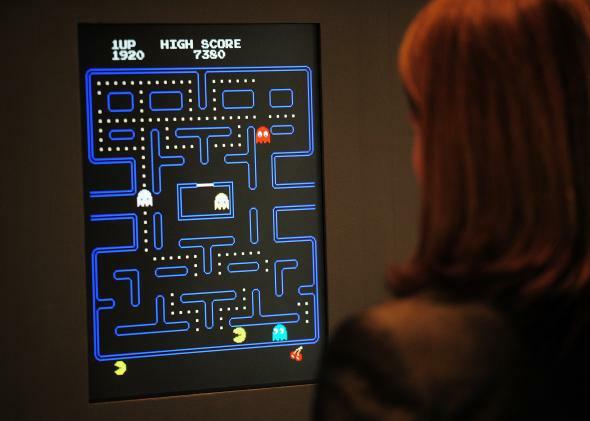 Game-streaming site Twitch harkens back to the arcade days of yore. With the news, first reported in Variety, that Google is in talks to spend $1 billion to acquire twitch.tv, the live-stream site for video game spectators, the response from a lot of people was probably, “Huh? Do people really like to watch each other play games?” Oh, yes. Yes, they do—and like a lot of behavior online, it goes way back. From the very beginning, my generation—which saw the first introduction of Pong into the home—has been intensely social when it comes to video games. Back in the late 1970s and early ’80s, at the birth of video games, I used to spend my afternoons watching my friend Clarence play Adventure on an old Atari 2600 deck. (I didn’t have one.) Or friends and I stood around Dragon’s Lair at the arcade, smack-talking Dirk the Daring’s missteps and gruesome deaths as only teenage boys do. Now it happens online. My former roommate in Bogotá regularly ate into our house’s bandwidth allotment watching old StarCraft tournaments from South Korea (where it’s practically the national sport) on YouTube. The number of people watching others play games on Twitch is insanely huge, booming from 20 million users in 2012 to 45 million today. It’s the fourth largest source of U.S. traffic in prime-time hours, behind only Netflix, Google, and Apple, according to DeepField.com. There are 1 million people in there broadcasting their game play right now. If Google succeeds in buying Twitch, it’ll be their biggest acquisition since YouTube. This means that Google’s play for Twitch.tv isn’t as out-of-the-blue as it first looks: While the classic and persistent perception of a gamer is that of the otaku loner with no social skills, Google’s bid is, in fact, the market catching up with what millions already know. But why is watching someone else tap buttons and massage D-pads so compelling? First off, it restores the social feeling of gaming. You feel like you’re there in the room hanging out with others who are as obsessed with the game as you are. “It’s a bit like having friends that play [Path of Exile],” said user Nallenbot on the Reddit dedicated to that game. “Or like having friends,” replied user Crzomgwtf. A good number of players—on the Path of Exile Reddit, at least—say they keep the streams on even while they’re playing the game. “What I like best is usually the discussion. … Listening to them talk about the economy, or certain builds is interesting to me,” said Ranger4290. Others say they pick up good tips from the streams while they’re playing. Games are incredibly complicated these days; defeating World of Warcraft’s Garrosh Hellscream with his four-stage fight and multiple allies takes coordination, skill, and not a little luck. Watching the fight on twitch.tv is a good way to learn how to do it yourself. We offered the same kinds of advice, tips and capsule reviews while playing those old games and 1980s arcade classics. “You gotta move quickly here,” Clarence would say as he spelunked an 8-bit dungeon. “You gotta swing … now!” and Dirk would make it over a chasm, one blazing rope at a time. Those afternoons were some of the fondest memories of my childhood, because we weren’t just making suggestions or burning through our allowances (although lord knows we did that), but because we were doing something together. Back then, only one of us could play at a time, usually, but making it to the end of a tough stage, to the cheers of friends around you who knew you would cheer for them when their turn came, was a bonding moment for us. And that’s ultimately what play is, whether it’s dodgeball, Missile Command, or League of Legends on Twitch. We want to feel connected and to be there when others succeed. We want to cheer them on and share in their success. Games, by their very nature, are social, regardless of the medium. Solitaire may be popular as a time killer, but no one is going to woot! when you run the deck. So when we sit in front of a computer—most online games still involve a solitary player reaching out across copper and fiber to connect to other ghosts at their machines—the primal, participatory feeling that twitch gives can be like winning an extra life or saving the princess.